Today’s ECJ ruling, confirming that Uber is a transport company and not just an app, is great news for those who support fair transport in Europe. 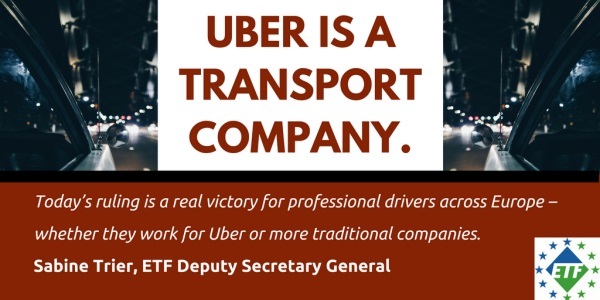 Just as the ETF has always demanded, Uber and its services will be subject to the same rules as all other transport companies – creating a level playing field for competition in the sector. Digital innovation can bring many benefits for transport customers and workers, but it must not be a back door to low quality, precarious work and bogus self-employment.